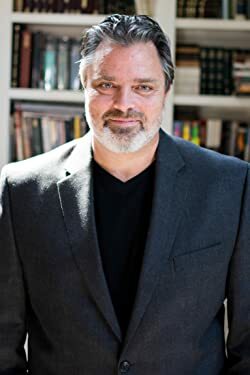 MICHAEL DAVID ARES is an entrepreneur and educator who started four community service businesses while writing and editing books for other people on the side. He is now a full-time author, and lives with his family in West Chester, Pennsylvania. Dayfall (2018) is set in a near-future after a short nuclear war between India and Pakistan created a partial nuclear winter, casting part of the world, including New York City, into perpetual darkness. 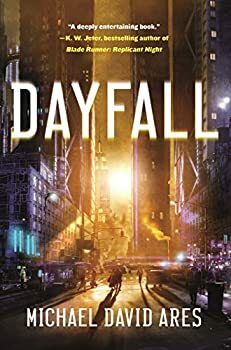 Crime has risen and Jon Phillips, a PA cop who takes own a serial killer early in the book is sent to deal with another one in the city known as the Dayfall Killer. Complicating things is the immanent return of the sun (the titular “dayfall”) and predictions of chaos and panic (think Asimov and Silverberg’s Nightfall, but reversed).